Calgary police are looking for two men who tried to force their way into a home in the Renfrew area on Thursday afternoon claiming to be police officers. 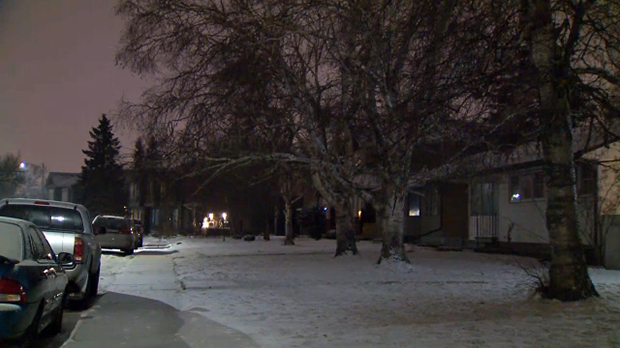 Investigators say two men were seen banging on the front door of a home in the 1400 block of Renfrew Drive N.E. at about 4:15 p.m. Witnesses say the pair were both dressed at police officers and pushed their way inside the home when the occupants answered the door. The residents challenged the authenticity of the suspect's claim and a brief confrontation took place. The two men fled the scene and investigators believe it was a random incident. Police say anyone who is concerned about the validity of a police officer should ask for identification or call 911 to confirm the officer’s identity. Police are investigating after two people, dressed as police officers, attempted to break into a home along Renfrew Drive N.E. on Thursday, Feb. 7, 2019.